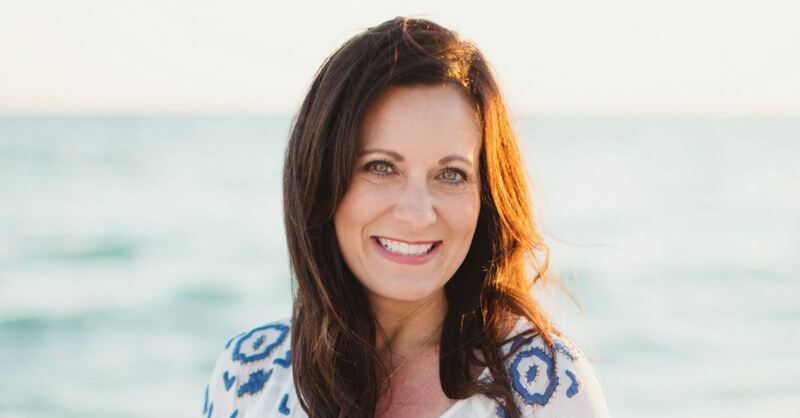 Lysa TerKeurst’s newest book, It’s Not Supposed to Be This Way, is the 23rd one she’s published. It’s also the one she never thought she’d write. “This is a message I never wanted to live, so it's definitely not a message I ever thought I would write,” she told Crosswalk. Over the past couple years, TerKeurst experienced deep disappointment and pain after first discovering her husband’s affair, then receiving a breast cancer diagnosis. In It’s Not Supposed to Be This Way, she vulnerably shares her heartbreak, hoping to help others who are also going through difficult things, which she said is everyone eventually. “I can almost guarantee [about] every single person I encounter – they’d either just been through something, they're going through something, or they're about to go through something,” she said. Crosswalk: I think something readers will notice right away is your vulnerability in the book, and that's always a risk – just to be vulnerable. So, what is your hope for folks who read your story? TerKeurst: Well, it's a risk to be vulnerable, but I would say it's probably more risky not to be because the reality is all of us as humans are going through some stuff. I'm positive you've just been through something, you're going through something, or you are about to go through something. For me, being vulnerable is not about exposing the private parts of my life. It's about experiencing God and being willing to share the hope that I found. There's a big difference between privacy and secrecy. Secrecy is for the purpose of hiding something in your life. Privacy is withholding certain details for the purpose of healing, not hiding. I have kept some things private, not secret, for the sake of healing. You can be completely vulnerable and still be completely private, and that's the gentle balancing act that I'm constantly walking in my life. In a world so divided with so many different opinions, what I know to be true is we are very united by our tears. 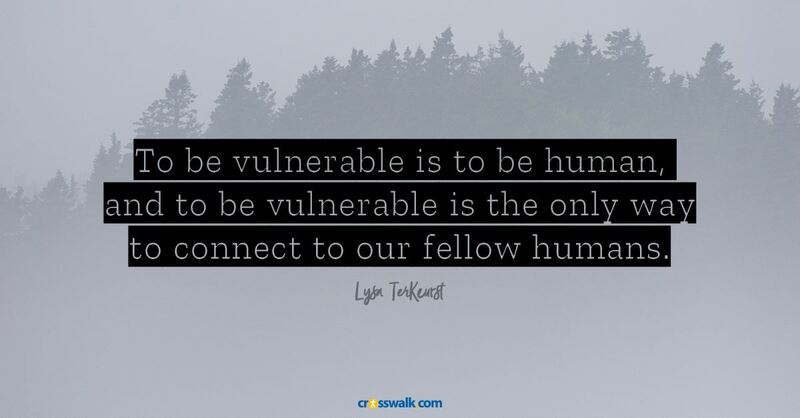 To be vulnerable is to be human, and to be vulnerable is the only way to connect to our fellow human. And the best way to connect is through our tears. Crosswalk: In a few different places in the book you talk about not dealing with disappointments. Could you talk about the dangers of not processing disappointments and the potential value of dealing with them? TerKeurst: Well, disappointment often comes in a package of varying degrees of pain, and as humans, we don't like pain at all. And so, we will look for a way to either numb our pain or heal our pain, and the choice is really ours. If we don't learn how to talk about our disappointments, then we'll never learn to deal with the pain that comes along with disappointment. And you know, the enemy is very crafty. He is all the time offering up solutions to us of how to numb our pain. 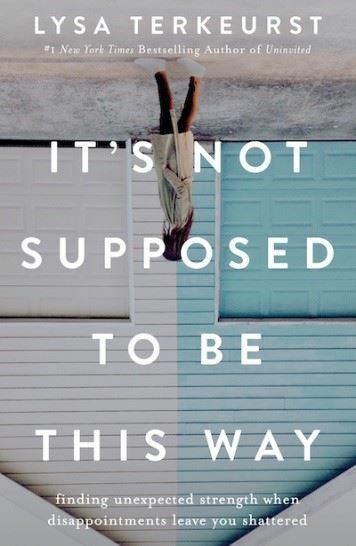 Often, those are ways that are completely opposite of what God's best is for us. And I'm not talking about taking an Advil; I’m talking about the enemy tempting us with extreme ways of stepping outside of God's will, justifying it because it will numb our pain for a while. The enemy pays attention; he can't read our mind, but he can certainly see how we express ourselves. He can certainly read what we post on Facebook, and we're pretty expressive with different disappointments that we're going through in our life. Because the enemy pays attention to that, he likes to handcraft things that will ease the ache of our disappointment. He'll put things in front of us that are very tempting because we don't want to feel the pain of the disappointment right now. That's why I tell people it's crucial that we understand not to get isolated with our disappointment – not to get isolated with our pain because if the enemy isolate us, he can influence us. We've got to be in community, so that everyone can be speaking truth and dealing with life because [it’s] only when we deal with our pain that we're able to heal our pain. Crosswalk: I'm wondering how people can best help their friends who are going through something similar. When you were processing your hurt and disappointments, was there anything someone did or said that was really helpful or just what you needed? TerKeurst: One of the most helpful things that my friends did is not try to explain why I was going through this. Some of the most hurtful things that people said is when they would try to explain why I was going through this. 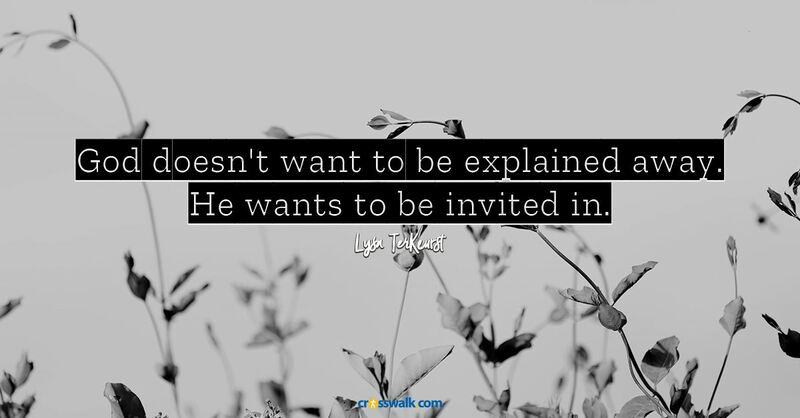 We have to understand, God doesn't want to be explained away. He wants to be invited in. The most beautiful thing that friends did that was so positive for me [was that] they just sat with me, and wept with me, and invited God's presence into these very tear-filled moments. I didn't understand what was happening to me, and I certainly didn't need anybody at that point trying to draw straight lines between what I was going through and what I had done or not done to cause this. That was just not necessary. What was incredibly helpful was for people to sit with me and weep with me and invite the presence of God to be with us. Crosswalk: At the end of each chapter, you include almost like a workbook section called “Going to the Well.” Why did you call it that? 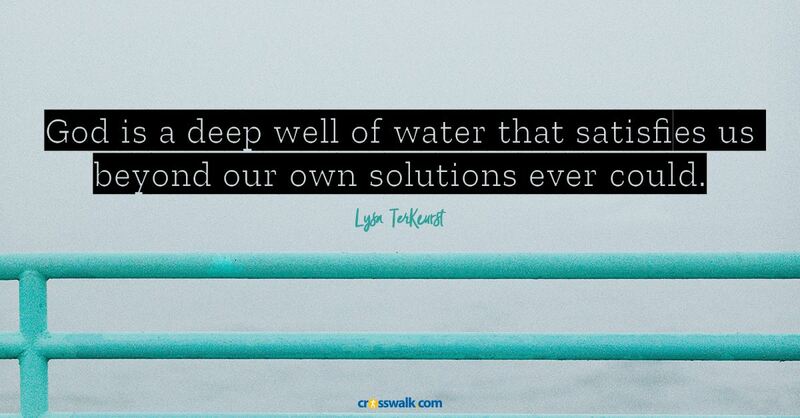 TerKeurst: Going to the well is a beautiful picture of making sure that we understand the right places to turn to when we have epic disappointments in our life. There's some verses in Jeremiah that that make it so clear – as humans, we are very tempted to dig cisterns and solutions of our own making when we get in desperate places. But God is a deep well of a water that satisfies us beyond our own solutions ever [could]. One of my favorite parts of the end pages is the section called, “9 Scriptures for Surviving the Times When God Seems Silent,” helping to silence the lies that the enemy tries to speak to us by Illuminating the truth of what God actually says in those hard moments. We tried to make the book useful so it's not just words that you read, but it'll become a tool that you turn to when suffering doesn't just come knocking on your door but suffering kind of busts into the front door of your life and takes up residence for a while. I pray that this book is a soft place for people to land when they feel like their whole world has been shaken apart. And in this book, they will find the words of a friend who deeply understands the human side of this, but who is at the same time very, very committed to holding tightly to the hand of God. It's Not Supposed to be This Way: Finding Unexpected Strength When Disappointments Leave You Shattered releases Tuesday, November 13. Emily Hall is an editor for Crosswalk.com.